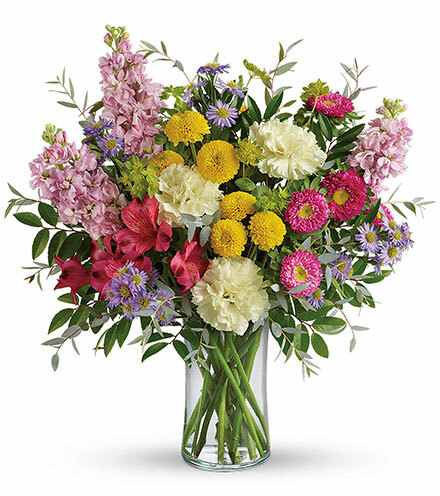 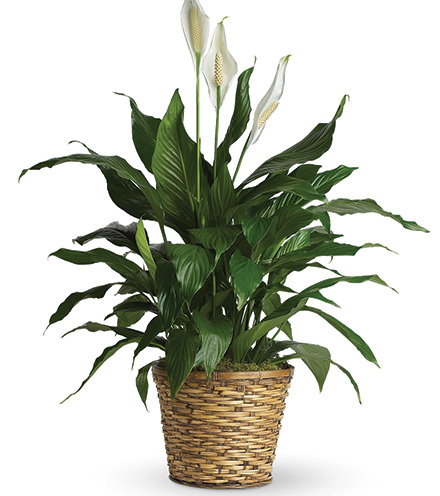 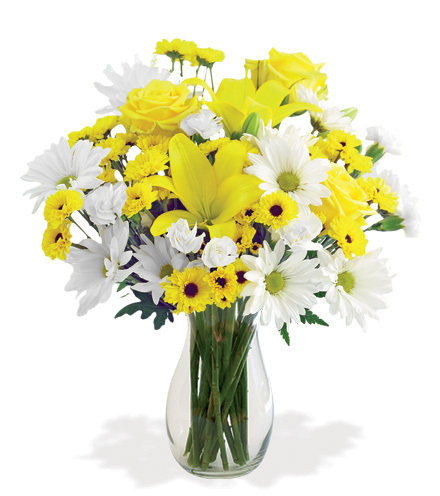 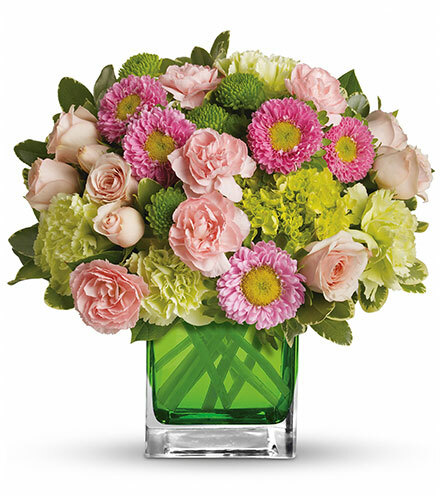 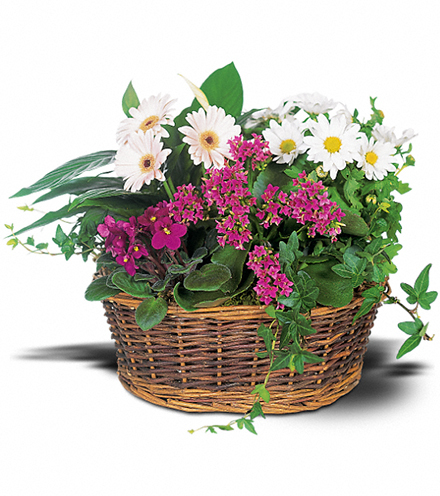 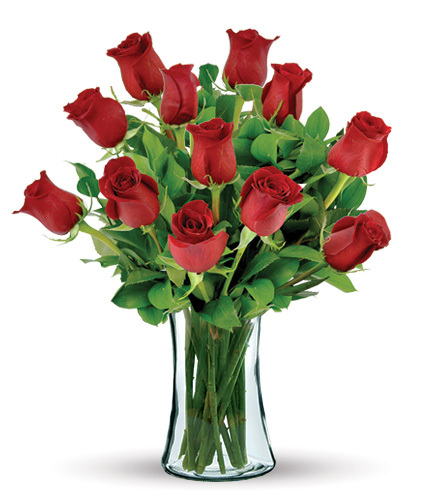 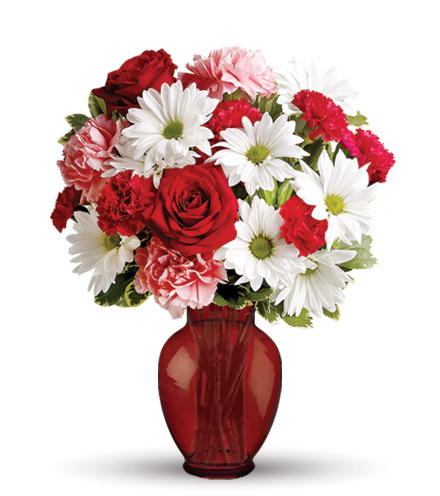 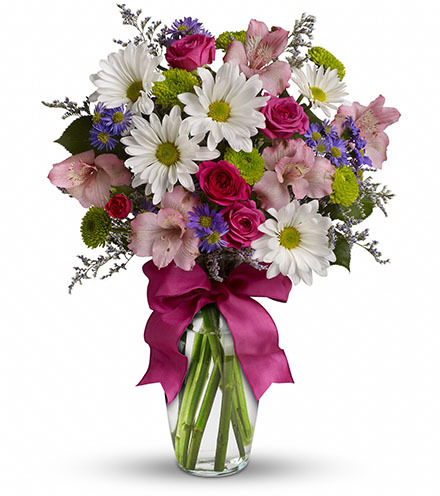 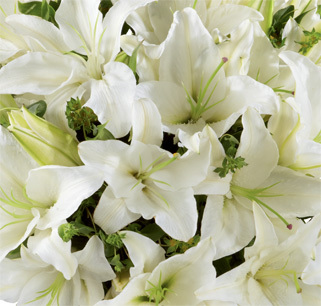 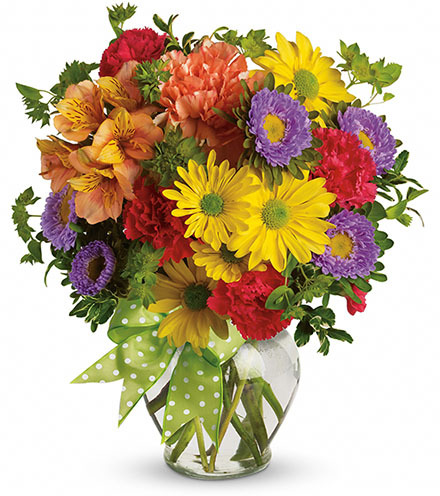 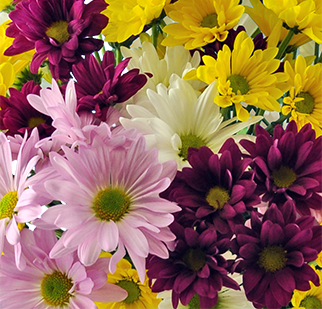 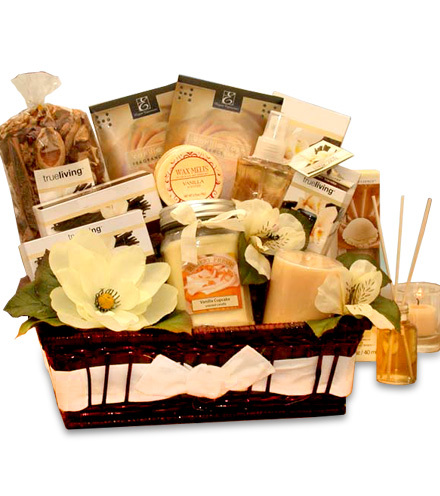 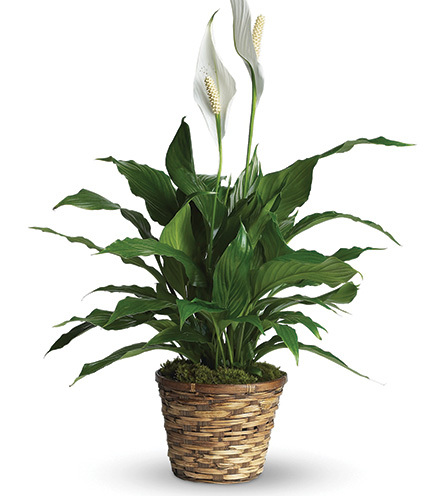 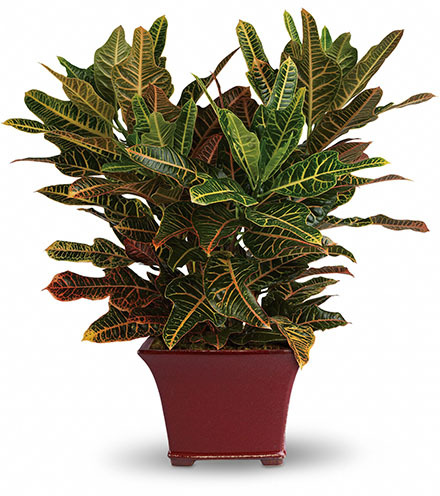 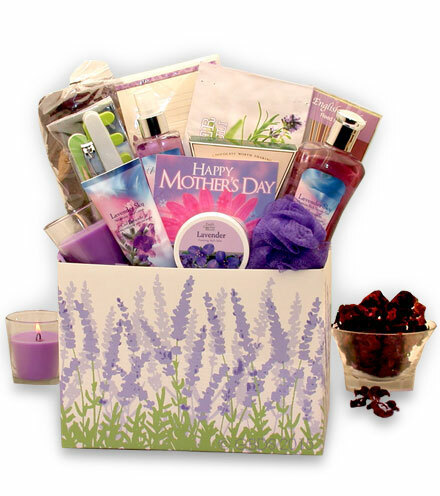 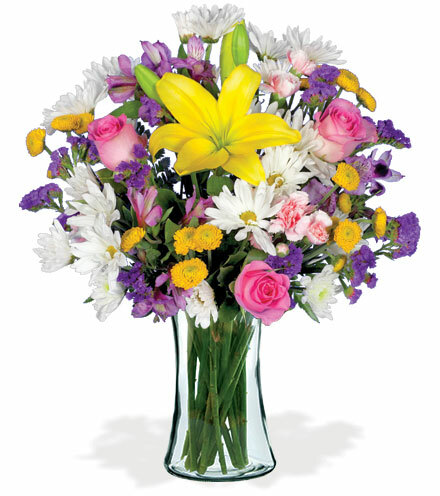 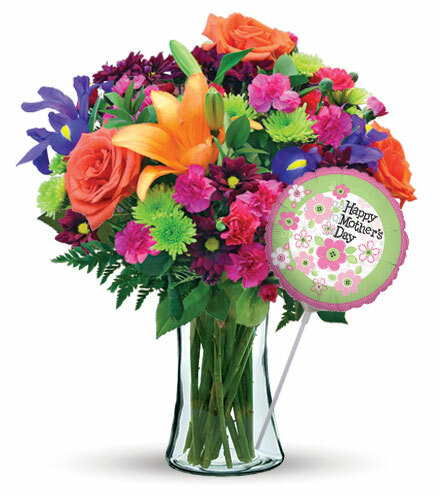 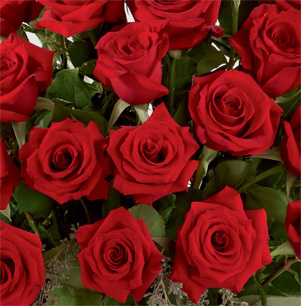 Send someone a bit of heaven with this beautiful bouquet. 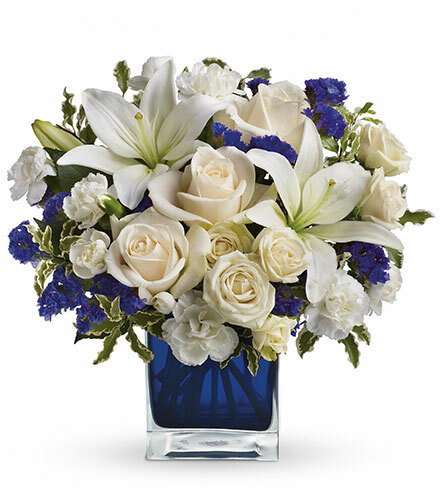 Luxurious crème roses and pure white lilies paint a peaceful picture inside a sapphire blue cube. 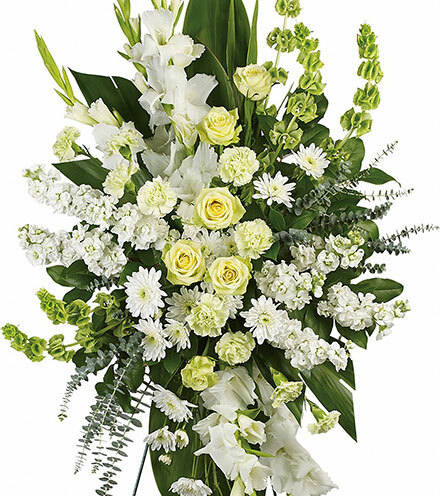 Crème roses, white asiatic lilies and white miniature carnations are mixed with bursts of purple statice and green pitta negra. 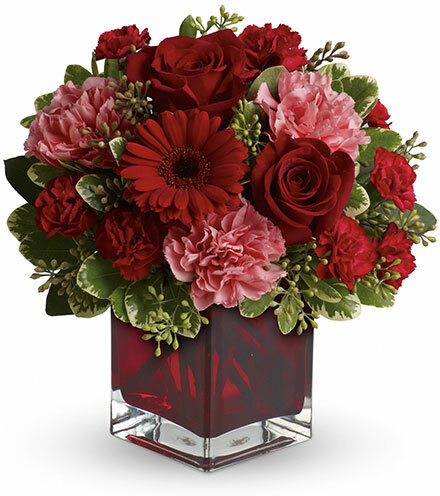 Delivered in a glass Cube.